Aerial View of Algae farm. 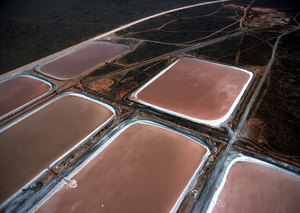 Algae farm ponds for production of beta-carotin, Whyalla, South Australia. April 1986.